We now have 1 exceptional office, situated in a highly sought after Toowong, QLD location. These offices are available on flexible rental terms with the option of an immediate move in date and all the services you need, without the hassle of a long term conventional office space lease. Toowong is a largely residential suburb of Brisbane. It sits just five kilometres west of Brisbane's central business district, the largest in Queensland. The town is home to its own commercial district, which includes the Toowong Village office tower, shopping centre and railway station as well as a number of other office buildings. Toowong is a major transport hub with bus and train routes passing from Brisbane's western suburbs. OfficeSpace.com.au offers businesses of any size the simplest, quickest and easiest way to secure professional office space in Toowong, Queensland. Many of our office space and business premises come with a wide range of facilities included, and flexible rental contracts that are made to suit you. Our aim is to ensure that the entire process is as simple as possible for the companies we assist. A number of the business centres that we feature offer offices that are fully furnished and equipped, making setting up a very simple process. Some of the serviced offices can be configured to meet the specific needs of your company. Many office providers will tailor the space for you and allow you to decorate to give you more control over your work area and branding. We would love to help you find your perfect new office. All you need to do is to choose any of the offices for rent in Toowong displayed above. 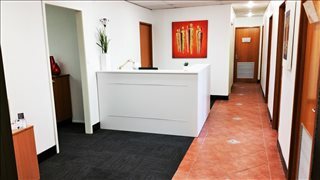 All of the office space listed on OfficeSpace.com.au is in a prestigious business location, and is available for immediate rental on flexible terms. We also offer business suites, coworking spaces, shared desk rental and other types of flexible, short term office space for rent in other areas of Brisbane and throughout Queensland. Fill in the inquiry form or give us a call, we look forward to helping you find the perfect space, whatever your requirements.